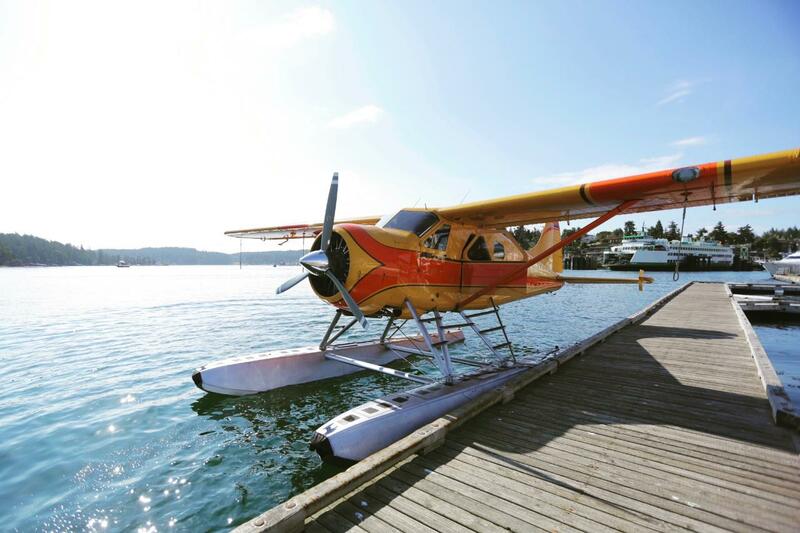 Our scheduled flights are a great gift for those that love to fly and would enjoy a scenic flight to San Juan Island whether it be an overnight getaway, a day trip to whale watch or just for lunch. Daily scheduled flights from South Lake Washington in Renton to and from Friday Harbor and Roche Harbor on San Juan Island. San Juan Island is 50 minute scenic flight from Seattle. Enjoy beautiful views the Seattle skyline on your flight to the beautiful San Juan Islands. We are located approximately 15 minutes from Seattle's Sea-Tac Airport, downtown Bellevue and downtown Seattle. Our terminal location has parking available for those driving to catch our flights. We also provide complimentary shuttle service between the Seattle-Tacoma International Airport and our facility for Commuter Ticket holders. Please add the extra on your reservations to reserve the Shuttle. We pickup and drop off at Door 02 on the baggage claim drive.